Itsik Moshe was born in Georgia in 1959. In 1971 he moved to live in Israel. He has graduated from Tel Aviv University with degrees in Technologies and Education Science. He did an academic research on “Psychological Aspects of Cultural Interaction in Business”. He served in Aviation subdivision of the Israeli Army. 1974-1976 Itsik Moshe was head of students’ union in the college, and organized the first settlement in Judea and Samaria. Itsik Moshe chaired students’ union and was responsible for foreign affairs issues at the World Jewish Students Union, WUJS. in the former Soviet Union. He raised funds for Israel from distinguished world Jewish organizations. 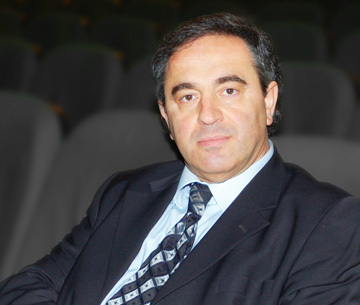 From 1996 Itsik Moshe is the president of the Israel-Georgia Chamber of Business. Israel and Turkey and up to ten business forums in Israel and Georgia.